Top Ten Tuesdays are hosted at The Broke and the Bookish. Today's topic is series we haven't yet read but want to. 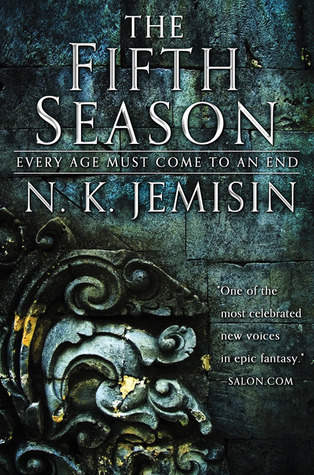 The first book, The Fifth Season, sounded so great when I first heard about it but I wanted to wait for the whole series to be out before starting it. Otherwise I run into that problem where a new book is released but I can't remember what happened in the last book. But I can't wait to finally read this apocalyptic story. N.K. Jemisin is one of very few black women who write science fiction and I hear she's really really good at it. I love J.K. Rowling and I've heard great reviews of her mystery series, written under the pseudonym Robert Galbraith. Her style is so friendly and humorous I'll read anything she writes. I've had Cuckoo's Calling on my radar since it came out, but somehow it just never seems quite the right time to start it. I'll be honest: part of the reason I've been wanting to read this series is because of the covers. The series of 4 books is both science fiction and fantasy with fairy tale elements - basically, it's everything. I've been trying to decide if I want to tackle it on audio. I hear it's great, but the books are pretty long and I do prefer shorter audiobooks. It's a conundrum. I feel like everyone was reading this series at the same time as Daughter of Smoke and Bone. 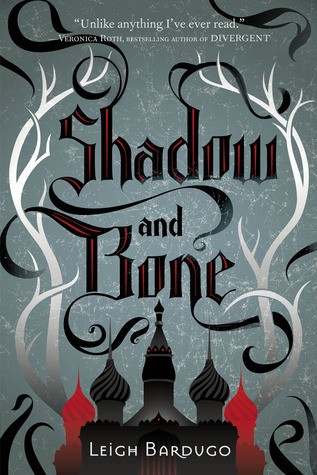 The first book of this fantasy is Shadow and Bone, which I came really close to reading a couple of times but somehow still haven't. I've honestly never heard it called that - it's always the Mr. Mercedes series when people talk about it. At any rate, I can't keep up with Stephen King so here I am, having missed this entire mystery series. These next three I've actually started by reading one book a long, long time ago and then not continuing. Speaking of not being able to keep up with Stephen King! I read The Gunslinger back in high school and I think maybe it wasn't as much my sort of thing as King's other books so I didn't keep going. I had in my head that this was a long series, though I just looked it up and there are only 8 books. My vague plan for this series has been that someday Stephen King will die and I will feel very sad, and then I'll remember there's a whole long series of his that I haven't yet read. 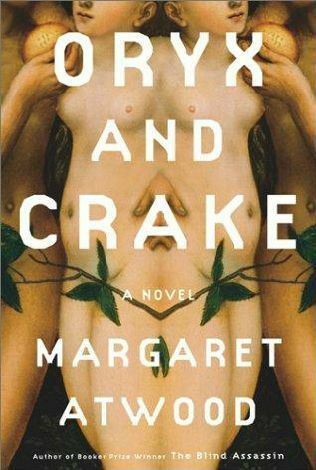 I read the first book, Oryx and Crake, when it first came out and always meant to get to the second. But, as often happens, I couldn't even remember the first one by then so I just stopped. I've actually been planning to read the whole thing in the next year or so. Of course I've read The Lion, the Witch, and the Wardrobe multiples times. Who hasn't? But it's ridiculous that I never read any other book in the series. For years I've suffered under the delusion that I only ever read the first book and I kept thinking I should finally get around to reading the rest of it. Then I was looking through the little notebook where I've been listing every book I've read since mid-2000 and saw that I've read the whole series. Anyhow, I went to my local bookstore and bought all three books with plans to reread the series sometime in the definite future. I loved this series on audiobook! According to my aforementioned book-tracking notebook I read the whole thing a second time, which I didn't remember doing. But kind of. I think I read it in print that time. Anyhow, now that Pullman has announced another series related to that series I want to read it all again in preparation. I think I'll listen to the audio again because it was really wonderful. Are there any series that you keep meaning to read but haven't? Share in the comments! I read His Dark Materials as a teenager and loved it, and last year I checked out the audiobooks through my library's Overdrive and they were just as wonderful! Glad I'm not the only person who hasn't started the Galbraith books yet! I'm planning on reading Rowling's Galbraith books soon - happy reading! I want to read Rowling's Galbraith books but I'm kind of scared to because I know nothing else she writes will ever live up to Harry Potter for me. I've only read the first Lunar Chronicles and didn't love it but I've heard they get better. I'm planning on reading Daughter of Smoke and Bone this summer. I also had the Grisha books on my list this week.